Alien Technology, the field-proven leader in RFID/EPC compliant solutions, is committed in supporting our installations throughout the Europe, Middle East and African regions. As part of this commitment, Alien created our Value Added Solutions Provider (VASP) program to ensure our customers receive the best technical and integration support at a local level. Our VASP partners have participated in our highly-acclaimed Alien Academy technical training session and offer a wealth of RFID integration expertise. Active Identity designs and develops scalable and customized RFID infrastructure solutions. We help partners all over the world realize the full potential of RFID systems by maximizing Return On Investment and reducing Total Cost of Ownership. The Envoy, Active Identity’s RFID Engine, is at the core of many demanding RFID deployments worldwide. AISCI Ident is a value added reseller & distributor for automatic identifications systems in Germany. Since 1995, our core business activity is consulting, sales and service for barcode, RFID and mobility systems. Alien Technology Hungary is Alien’s exclusive distributor for Hungary, Russia, Ukraine and Kazakhstan and technical support partner in Eastern Europe. Barco is a Central European ICT solutions provider and integrator of auto-ID systems, barcode & RFID technologies. Barco specializes in solutions for online warehouse management based on barcode & RFID technology and wireless data terminals working in wireless WiFi infrastructure. The Barco leading software is warehouse management system SmartStock WMS. BARCODE TECHNOLOGIES LTD has come a long way in establishing itself as one of the trusted and leading provider of barcode and RFID Solutions as well as a supplier AutoID and data capture barcode & RFID hardware products, support and labelling solutions. Over the past 22 years, we have worked hard to earn a reputation for being dedicated, reliable, and customer-oriented company. Additionally, we are a solutions and product supplier with extensive experience in enterprise mobility systems in asset tracking, internal post & parcel management and tracking, file and document tracking and Check In / Check Out Tracking Solutions as well as in sales/field mobility & EPOS systems and solutions. Business Effectiveness S.A. based in Athens, Greece, is a leading provider of RFID integration services, RFID hardware, software, asset management and supply chain solutions in Greece. Its experienced team can deliver end-to-end RFID solutions starting from defining a business case, continuing to process redesign, integration into existing WMS / ERP systems, proof of concept, final hardware and software configuration, installation, roll out and customer support. CREATIVESYSTEMS is an integrated solution provider, in the field of smart information acquisition and management. With a broad knowledge and experience in information technology coupled with operations management, it is focussed on simple, scalable and competitive customized solutions supported by expert consultancy in process optimisation and efficiency. We develop and integrate wireless solutions with a broad spectrum of enterprise resource planning (ERP) systems, enabling our clients to concentrate their efforts on added value activities. DataNet is one of the middle east’s leading supplier of high-performing contactless ticketing and RFID total solutions and services to make supply chains, transactions and authentication of goods and people more efficient and secure. Today, we are innovating and exploring with our customers how our solutions can help people and companies to address their problems and challenges by fusing strong combination of RFID tag design competence, RF engineering and customization to manufacturing experience. DataNet is specialized in the RFID product development, manufacturing and applications. Products includes the complete line of RFID tags and readers (HF/UHF/2.45GHz), both passive and active. ETILUX is one of the european leaders for providing auto-identification products. Our field of expertise include tags encapsulation, labels, printers, dispensing and reading solutions. Thanks to our wide range of A.I. products (barcode and also RFId), we provide solutions for most of the demands resulting from a great diversity of sectors. We assist our customers from the reflexion stage to the complete deployment. GALF is one of the largest provider of labels and labeling solutions in the GCC region. With its ISO 9001-2000 Lloyds certification, GALF is committed to excellence in everything it does. GALF RFID division supplies readers, tags and printers. 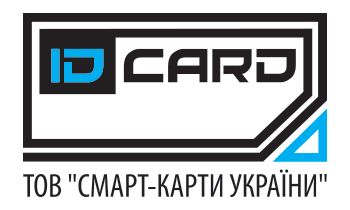 The company “Smart Cards Ukraine” is the largest distributor of RFID tags and RFID equipment in Ukraine. We are specialized in the implementation of RFID products and solutions based on RFID technology. Our team will help you to implement projects of different levels of complexity: from ITC inventory and warehouse accounting to non-standard technologies and IoT. iDTRONIC GmbH is a leading developer, manufacturer and supplier of professional, innovative passive and active RFID hardware products for LF 125kHz, HF 13.56MHz, UHF 860–960MHz and 2.45GHz active system. The range of professional RFID Readers offered is dedicated for System Integrators and Software Developers. RFID USB Stick and Desktop Multitag Readers for LF, HF & UHF. Kinetix is an energetic, resourceful company, setup in the 1998 and has seen constant stead growth in terms of staff, clients and wide range of products and services offered to its commercial clients. We believe in constant staff training in all aspects of our business operations that ensure that we always meet our clients expectations providing the best service in every stage of a project starting from the design stage up to the implementation and after support. At Kinetix we have the right set-up to address your requirements most importantly we have the knowledge, experience and attitude to deliver sophisticated, scalable and affordable IT solutions to fit any organisation’s needs, irrespective of its size. Mantra Softech is a global hi‐tech manufacturer of biometric product and solutions provider. We offer the wide range of products in biometric and RFID industry. The dream project of like‐minded visionaries started in 2006 continues to push the envelope on biometric system capabilities. Customers rapidly growing requirement for the complex and sophisticated security system is the inspiration behind Mantra’s Innovative products and solution. Our System Adopts the Latest RFID Technology; it uses the Corresponding RFID Tags for the Inventory, Storage Areas, Warehouse Equipment, Vehicle Access, and Product Resource Management. O2E is an Engineering and Consulting Company dedicated to the improvement of industrial processes. O2E bases its improvement projects on the integration of world-class operations management methodologies with new automation and Information Management Technologies. Specifically, O2E focus is set on the Lean Manufacturing philosophy and tools together with advanced Safety Management. Technology-wise, O2E’s aim is set on both active and passive RFID and biometric auto-id technologies (iris recognition, palm vein, etc.). The combined strengths of its team of analysts and solution developers can provide the best turn-key solutions with a global understanding of the technologies and of its value adding capabilities to each customer and project. O2E believes in customer orientation and in the need to innovate to gain future competitive advantage. O2E has a bias for action and sets its focus on creating value and tangible results. Odem Technologies Inc. with its extensive experience in deploying RFID projects offer its clients innovative RFID solutions focused on providing real business value and improved productivity. Odem’s solutions span the entire business spectrum, from delivering individual RFID component to an end to end solution. Our location in the international development center of Israel assures that our clients will get the best solution available for their needs. IOS- RFID solutions division of the company works with the leading manufacturer of the world Alien Technologies, USA for Distribution and Service Support of RFID tags and RFID readers and development kit. IOS- RFID provides training, site surveys and consultancy apart from providing solutions on Asset tracking, Supply Chain and timing systems. RFID Solutions & Academy Pvt Ltd also provides the solution to the Organizations in retail, defense, transportation, healthcare and other industries to employ RFID technology to bring new efficiencies to supply chains, track assets, ensure product quality and consumer safety, protect the integrity other brands, promote security and more. ORASYS ID is an RFID solution provider in Greece. We design, implement and integrate RFID turn key solutions that combine real business value and state of the art technology. Our solutions aim to maximize the efficiency of the supply chain of our customers, to improve the overall management and visibility of their operations, and to provide them with a competitive edge. ‘The Tracking the Experts’: this slogan sums up well the ambition of Oritech to provide its customers with customized and value-added traceability solutions based on the latest technologies of information and communication and most notably: RFID. Paqware Solutions Ltd is a Nigerian based technology consulting and systems integration company that offers a diverse portfolio of technology solutions. Mostly we provide Radio Frequency Identification (RFID) based solutions, Biometrics, Electronic Security Systems, and other innovative solutions. We also offer a range of services which includes business process consulting, site surveys, systems designs, project implementation management and custom software development. Our multi-vendor approach allows us to focus on providing the best solutions for each project instead of force-fitting a specific manufacturer’s solution. Our focus on the individual industries allows us to provide higher quality and more focused solutions. Our goal is to continue to offer success proven innovative solutions and services that enable our clients to achieve excellent end-to-end visibility of their operations; provide significant business value and quick return on investment. ProSign is a leading provider of RFID solutions and customers throughout Scandinavia are serviced from the office in Denmark. ProSign offers consultancy, sales and integration of RFID devices and RFID solutions in Production, Logistics and Retail. Racetimer AB of Sweden is a company that focus on running events. We have been in business since December 2004 and made a name for ourselves in Sweden. We are among the first in the market to use disposable RFID tags for sport events. This is the future for all timing in sports since the time consuming handling of the chip is minimized. Value Added Distributor (VAD) of complete RFID technologies, RFID Global is the Softwork’s brand representing in Italy 10 leading manufacturers, such as FEIG Electronic for passive RFID systems, with a product portfolio of more than 400 RFID components. The production of its own customized devices RedWave thanks to the R&D Dept., the experience gained in such field by a team of project managers and by a network of certified resellers (Channel Partner) guarantee RFID Global the leadership all over Italy and in the different application areas. RFIQ is a Company based in South Africa but with African reach. We believe in putting the pieces together and finding solutions to make RFID Technology work for you. Our team has a strong trackrecord in offering solutions ranging from IT support to Biometrics implementation and RFID solutions. This combined with our strong Financial Systems knowledge makes us the ideal partner to assist you with all your RFID needs. We are proud to be associated with Alien Technology. We believe that with our common drive and values, combined with exceptional technology offered by Alien Technology we will be able to assist you with the right Technology to make your transition to RFID seamless. The founders of RF-IT Hungary Ltd are experts of great experience in developing and implementation of systems based on UHF RFID technology. Main profile of our company is researching in the area of RFID, developing of soft- and hardware and distribution of RFID equipment. We aim to provide our customers with innovative solutions according to their business demands and the emerging needs of informatics and security. Experts of our company offer high quality customized solutions, ranging from system planning to RFID systems, involving individual soft- and hardware development. Secnet is a part of UTTC group of companies and focuses on two directions: box moving and project distribution. Company continuously augments its well-balanced product portfolio with deep expertise in pre-sales, installations, sales and technical support service. Today Secnet delivers products with unmatched quality and value to its broad network of channel partners which includes resellers, system integrators, ISPs and WISPs. A strong emphasis is laid on technologies and solutions which are tailored to key verticals like Telecom, Government, Oil & Gas, and Hospitality among others. Company constantly identifies and introduces to the market technology solutions which help meet the specific IT needs of the region. Teknopalas, serves innovative solutions on RFID technologies with a customer oriented business approach, since its foundation in 2005. Teknopalas offers groundbreaking solutions on RFID Technologies with projects developed especially on UHF band and has become a rapidly growing company in today’s world with its expert staff, developed infrastructure and Research and Development resources. With its 18 patent applications on RFID Technologies, Teknopalas had the chance to prove its main characteristics: creativity and innovation. Each and every RFID project developed and implemented, step by step, by its in-house expert teams. These RFID projects include; Inventory Tracking System, VIP Customer Welcoming Automation System, Real-Time Product Locating System, Vehicle Control Systems, Traffic Control System, Library System, Weighbridge Automation Systems. These systems have successfully gained their place in Turkish and Middle Eastern markets. Tenacent SA is a RFID hardware specialist serving global markets primarily focused in niche low-cost UHF RFID and innovative technology products. Located in South Africa, we service industry players already in the RFID and Information Technology markets, by supporting and distributing pedigree RFID hardware to our affiliated Systems Integrators. We also assist in the design and implementation of network-centric and off-line RFID supply chain security and visibility solutions. We own our own intellectual property in some of our RFID products, however embrace standards compliant technology as building blocks to specialist solutions. We thrive on exploring cutting edge technologies and forge true partnerships with industry to achieve solutions geared to curb costs and ensure efficiencies for our end consumers. Based in Asturias, Spain and having installations all over Spain and Portugal, TESOTO is a leading provider of custom applications and RFID solutions. We have experienced computer engineers and systems integrators with knowledge in several environments like AS/400 DB2, Oracle or SQLServer and implementing RFID solutions in these platforms. Our aim is to give solutions that meet the needs of our customers’ business and provide them with a fast return of investment. TRICON is a leader in the field of RFID-Technology. We offer our customer a wide range of services, from implementation of total solutions, through development of customised electronic components to distribution of RFID-components from all leading manufactures. Adilam Technologies is a leading technology solution provider and implementation partner in the area of RFID. Through our experienced skilled team we provide a range of RFID hardware and software solutions with a specific focus on leveraging the benefits of RFID technology for our clients business. Adilam Technologies provides value added solutions to many market segments. Adilam is experienced in providing UHF solutions into a wide range of markets including Libraries in Australia and New Zealand. For more information, please email info@adilamtech.com.au. Adtio Group Limited (Adtio) is a leading provider of software products, integration services and support solutions for building and maintaining RFID systems. Adtio’s flagship product is a comprehensive, feature-rich and high performance RFID Data and Network Management Platform called “Smart-i RFID System” for managing RFID network and its equipment. Adtio also provides a broad range of RFID related services, including support, professional services, and education. Adtio’s software is used for many commercial and technical applications in various industries including supply chain and logistic, education, manufacturing and retail. AEON Technology Pte Ltd founded in 2002 is positioned as the industry leader for RFID solutions within the logistics industry. AEON has successfully implemented RFID solutions for pallet tagging, tracking and tracking. It is the first in the world for such application. AEON has deployed RFID solutions for high value asset tracking and real time temperature tracking plus logging for cold chain and 3rd party logistics. AEON has the complete suite of solutions for any RFID application. AEON is based in Singapore. Alien Technology Asia is Aliens exclusive distribution and technical support partner in Korea. Bermel Business Systems Pty Ltd is a family owned company founded in 1977. The founder and Executive Chairman of the Company, Bern Heafey, had a career history in the office equipment industry. Today with a multi million-dollar turnover the company supplies a wide range of organizations with a cost recovery solution, including Officeworks Australia wide. Public libraries using this system include the Canterbury City Libraries, Moonee Valley Library Service and Yarra Plenty Library Service. In addition to these sites a growing number of educational institutions have chosen the Contactless cashless payment solution, including Methodist Ladies’ College, Kew, NIDA, The French School of Sydney and Marri Grove Primary School. Bermel’s offices are located in Sydney and Melbourne. Trained service contractors render technical support in other capital cities and regional locations Australia wide. The exclusive range of products marketed by Bermel is the most comprehensive available in Australia today. Deloitte is one of the world’s leading professional services firms, and is uniquely known for its straightforward approach to solving today’s most complex business challenges. The people of Deloitte deliver services in four professional areas: audit, tax, consulting, and financial advisory services. Deloitte’s consulting professionals work hand-in-hand with clients to improve business performance, drive shareholder value, and create competitive advantage. The firm has 90,000 professionals in 132 countries. EPC Solutions Taiwan Inc, established in 2004 in Hsinchu Science based industrial park, is a leading supplier of high-performing RFID tags, readers, solutions and services in Taiwan. EPC Solutions Technology started by management team of RF IC background group. With RF knowledge as the key capability, company has many successful installation experiences in semiconductor industry, LCD display industry, Steel industry, Data Center IT asset, Cold-Chain, Apparel, etc in Asia. We are innovating and exploring with our customers how our solutions can help companies to address their problems and challenges by fusing strong combination of RFID tag design competence, RF engineering and customization to manufacturing experiences. EPC Solutions International Inc. is an Ellicott City, Maryland based company specialized in EPC RFID integration solutions and services in the Chinese marketplace. Currently, EPC Solutions is working with the China EPC Working Group of China Association for Standardization for demonstration of key EPC RFID products in selected Chinese sectors and for subsequent large-scale applications. The U.S. office of EPC Solutions International Inc. can be contacted at 443-745-5772 or 405-630-0616. IE Technology Co., Ltd. (IET) is a leading RFID solution provider. We offer a complete one-stop RFID service ranging from consultation, systems integration, hardware & software design to product customization. IET is one of the most experienced RFID system integrators with actual projects track record. Our customers are in various industries, including food processing, automotive, electronics, and logistics. Our dedicated and experienced R&D team is fully capable of design, build, and customize our products and services to satisfy a broad range of customer’s requirements. Innotech Resources Pte. Ltd. a Singapore-based company and has a production facility in Shanghai , China . Its business focus are in the area of converting of pressure sensitive labels for many different types of businesses, Industries, products and applications. Innotech Resources Pte. Ltd. has developed (patent pending) a process that is able to offers a low-cost way to embed RFID inlays automatically and accurately into paper labels of varying sizes and can place an inlay in different areas of the label. Northern Lights Semiconductor Corp. (NLSC) is one purely local company in Taiwan and China. The members of core team from NLSC, U.S.A. and Ray Sun Corp. are deeply engaged in high-tech products including IOT (internet of things), AIDC (automatic identification and data capture), RFID and ICs. We are solution provider covering RFID inlays, tags, readers, ICs and modules. Pocket Solutions is all about helping companies streamline their information systems, reduce overheads, achieve competitive advantage, and improve their efficiency through the innovative application of mobile technology. Their strength lies in our ability to listen and understand the customer’s problems and challenges, and then to collaborate with them to design and deliver an innovative solution. Few companies in this sector can rival their ability to offer a true “one stop shop” to customers. Silicomp Asia Pte Ltd, a fully owned subsidiary of Groupe Silicomp (a French listed company) was established in Singapore in 1996. We are the Asian headquarter and have established offices in Malaysia, Hong Kong, India and Taiwan and now look forward to a strong regional growth within the next 4 years. Our strength lies in our strong local expertise that is coupled with a highly synergistic relationship with our head office and other offices around the world, that gives us support in various domains and technologies when required. Our parent company, Groupe Silicomp, was created in 1983 and has more than 1200 staff strength and is focusing on providing IT Solutions in niche domains and sectors, with worldwide presence in countries like France, Switzerland, USA, Asia and many parts of Europe. Founded in 1975, Singapore Communications Equipment Pte Ltd is already supporting more than 7000 existing customers. At Singcomm, we are focused in providing our customers a total one-stop solution centre, from software to hardware integration. Automatic Data Collection (ADC) is a very customized area in the industries, due to the various industrial needs and demands; we will focus closely in your business process re-engineering. Our capabilities include performing detail business process studies to identify areas of improvements and to increase the process efficiency together with the fastest possible ROI. By adopting various ADC methods from bar-coding, wireless mobility to RFID, we would have real time data collection and interpretation for better decision-making and management. Sunshine Technologies has grown to be one of Australia’s best known RFID companies with a focus on the deployment of RFID for Asset and Inventory Management and Traceability applications. Sunshine was recently purchased by Syscan International, Canada, who brings further RFID capability to Sunshine and exposes Sunshine to a global market. Now, as part of the Syscan Australasia group which includes Fastcards Pty Ltd, a contactless smart card and identity management company and id-DNA who focuses on traceability and identity verification through the combination of RFID and DNA, Sunshine offers cutting edge traceability solutions through RFID and converging technologies. Sunshine have deployed RFID and identity solutions for some major Australian entities including BHP Mitsubishi Alliance, NSW Police, The Australian Defence Force, Channel 9 and Gribbles Molecular Science. Sunshine have deployed Alien Technology’s UHF for BHP Billiton Mitsubishi Alliance and Computer Science Corporation, for seat traceability in the automotive industry, removalist applications and others.